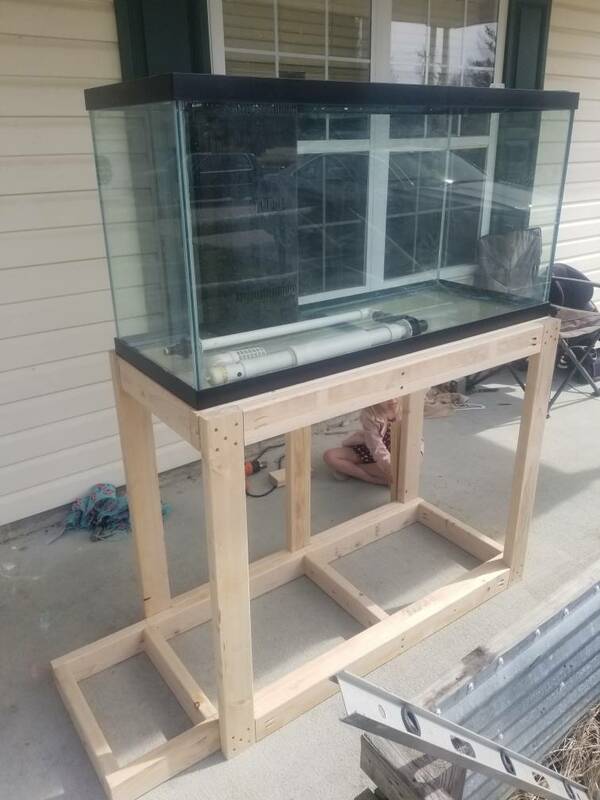 Tomorrow Mark's the day the custom stand for my new to me 90 gallon. So I think I'm going to go the route of the photo below. Due to side storage to put all my wires, controllers and equipment. Update: Figured i would go ahead and plumb it in and water test it before I close up the outside of stand and build the cabinet. It's going to be painted black, and all joints where the wood meets will be caulked and thinking about putting waterproofing down on the decking just so if it does leak I would catch it before it got to bad. But I am open to suggestions, you have any? i would use a kilz weatherproofing paint or something similar with mildew protection it will significantly reduce the chances of your stand absorbing water and protect against mildew.